Finally, Adobe is Killing FLASH — the software that helped make the Internet a better place with slick graphics, animation, games and applications and bring online video to the masses, but it has been hated for years by people and developers over its buggy nature. But the end of an era for Adobe Flash is near. Adobe announced Tuesday that the company would stop providing updates and stop distributing Flash Player at the end of 2020. The move has been applauded by many, as Adobe Flash has been infamous for frequent zero-day attacks, which is why it has long been one of the favourite tools for hackers and cyber criminals. It's been two decades since Adobe Flash has ruled the Web Space Animation Arena, which was the de facto standard for playing the online videos, but hackers increasingly found ways to exploit security holes in the technology and hack into user's computers. "We will stop updating and distributing the Flash Player at the end of 2020 and encourage content creators to migrate any existing Flash content to these new open formats," Adobe said on its website. Until 2020, Adobe will still be partnered with Apple, Google, Facebook, Microsoft and Mozilla to offer security updates for Flash Player in their web browsers as well as support new versions of the software, but the company will not provide any new Flash feature. In 2010, former Apple CEO Steve Jobs declared Flash Player obsolete. Earlier last year, Google also started banning Adobe Flash Player in Chrome 53 in favour of HTML5 by banning Flash banner from its Adwords Advertising platform. To put a full stop on Flash, many major tech companies like Apple, Facebook, Youtube, Google Chrome, Firefox had been magnetised towards the new substitutor - HTML 5. Microsoft just announced its plans to disable Flash Player by default in Edge and Internet Explorer in 2019, with a full removal from all supported versions of Windows by 2020. Google will continue phasing out Flash over the next few years by blocking auto-playing of Flash ads by default on its browser. Mozilla also blocked the Flash plugin entirely from Firefox and will allow Firefox Extended Support Release (ESR) users to keep using Flash until the end of 2020. Apple's Safari currently requires explicit permission on each website even when Mac users opt to install Flash. 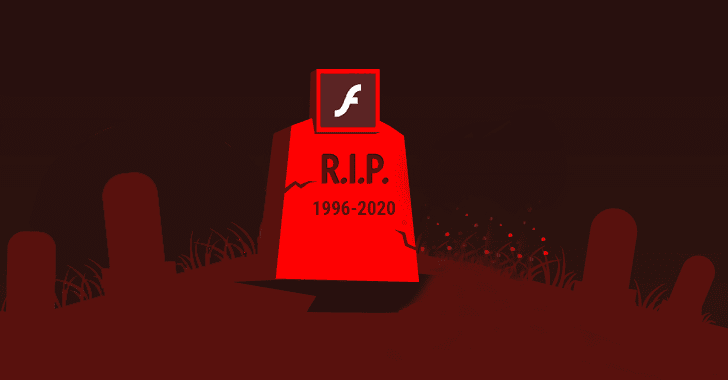 So, the date for the funeral of Adobe Flash Player is Dec. 31, 2020. However, the company will provide best in class animation and video tools such as Adobe Animate CC — the company's Premier Web animation tool for developing HTML5 content. Adobe Animate CC mostly looks like an update to the Flash Professional software – supports Adobe Flash (SWF) and AIR formats 'as first-class citizens,' along with other animation and video formats, including HTML5 canvas, 4K and WebGL output.